God is great at new beginnings and today we began again. We were back on the official pilgrimage route with 16 days ahead of us to cover almost 200 miles. As I write this I am am reminded again that it is about the journey, not the destination. The same is true in our walk in faith. We started the day in Oviedo where we got off the train last night. We had a great little $30 room just a block from the station where we returned first thing this morning to take a short commuter train to Aviles where we rejoined the Camino Norte right outside the station. 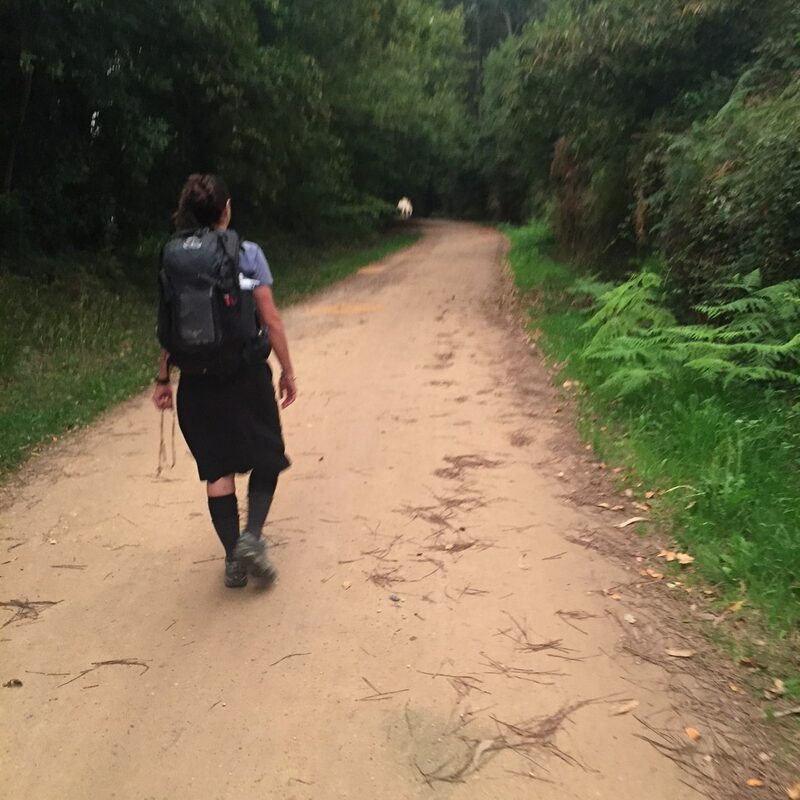 Last week we had thought about joining the Camino Primitivo today in Oviedo. We changed our plans after reading about the larger hills on the Primitivo, and as an added bonus we get to spend the next week along the coast. 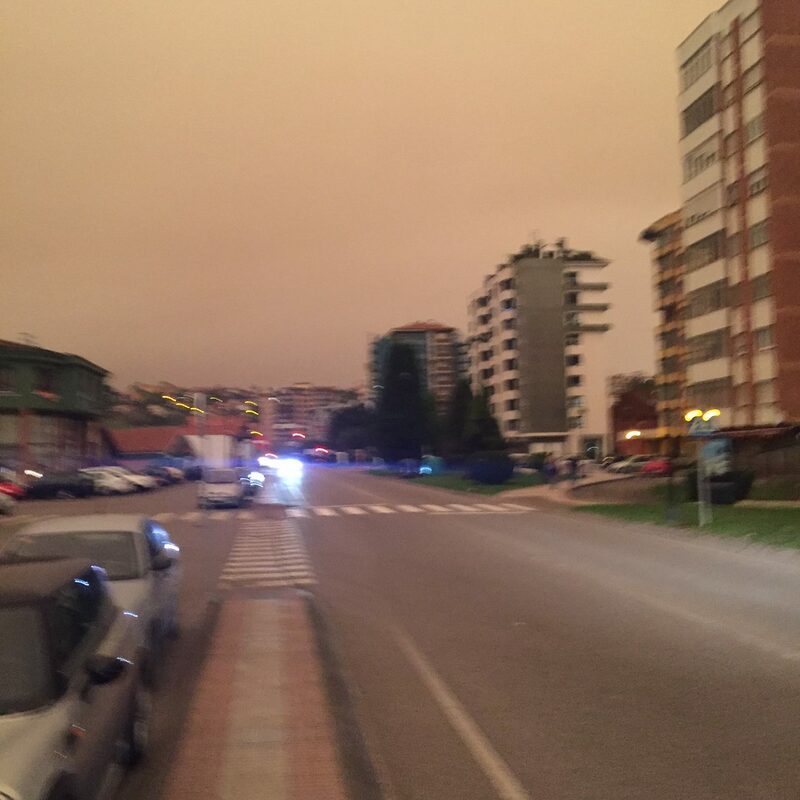 It was an eerie morning with thick cloud cover and smoke from wild fires burning across northwest Spain. Cars still had headlights on at 10am and the color of the sky (along with the smell) reminded us both of Southern California brushfire season. Our plan is to average 12-13 miles a day and to not push too hard. In our excitement last week we did too much too fast. After a bit of rest over the weekend, we are feeling strong and ready to take this one day at a time. 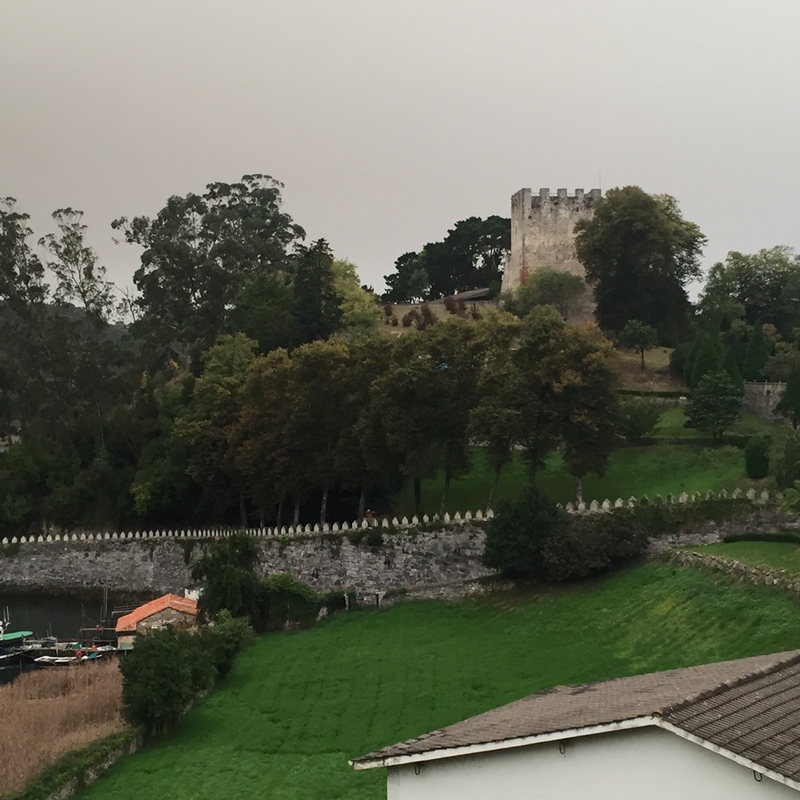 We ended the day in Soto del Barco just down the road from a medieval castle built over the ruins of a Roman castle seen in the attached picture. It was a perfect day to begin, as the Daily Office psalm cycle started over today with Psalms 1-3 this morning. It is another reminder in the life of the church about new beginnings. God is always willing to let us start over, forgiving all that was in the past. It is a lesson that we need to remember as we journey with Christ.